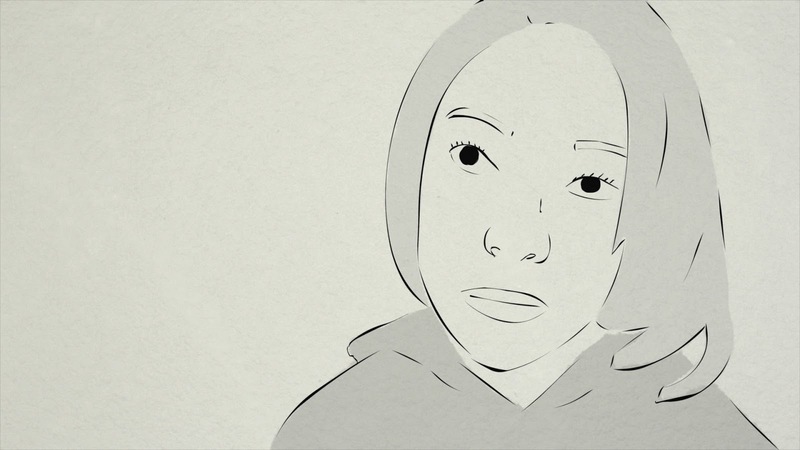 Presented by The New York Times in its Op/Docs editorial strand, I, Destini is meditative but powerful, the first-hand testimonial of the pressures placed on the families of black men incarcerated. Utilizing simple, but elegant line animation, the film is written and performed by Destini Riley, a Durham, North Carolina teen, and is based off her experience as the sister of a young man facing years in prison. The film intimately, and eloquently, adds Destini’s voice to swelling chorus of testimony that is coming from black American communities in the wake of the demonstrations in Ferguson, Missouri and the rise of the Black Lives Matter Movement. I, Destini is a powerful and timely concept, but it is an approach that is fraught for a filmmaker. The personal relating of a teen’s experience opens the film to the potential for mawkishness or naiveté. Further questions abound: the film is naturally political, but how much is too much? How much is not enough? Again and again however, the young Riley, along with her co-director Nicholas Pilarski, whom she met at a Durham community meeting in 2014, thread that impossible needle—the film is simple in its dialogue, but poetic, it is grounded in her perspective, but looks outward to the larger narrative, is rendered, literally, in B&W, but kaleidoscopic color peeks through at critical junctures.